It is my first vector I've ever done, and I used Paint Shop Pro. 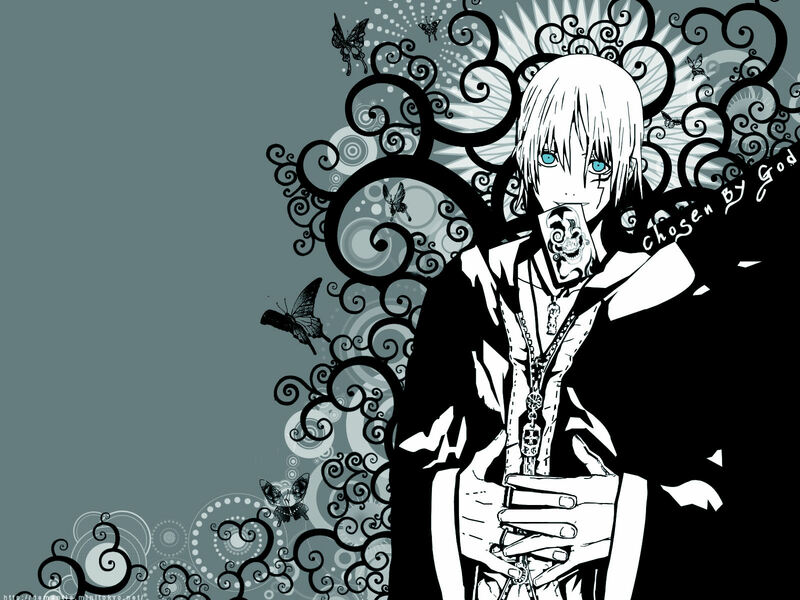 which is one of my fav D. Grayman pictures so I thought I would try vectoring it. Thanks goes to gaara-no-shukaku and MapleRose for being PSP users and helping me the details. i love the background and the swirls and butterflies! i love the style and concept of it! nice job! I like the idea... The quality of the vector could be improved, the lines look a bit shaky, but hey it's your first vector. My first vector was very shaky... XD I am not so sure about the color of the eyes. The background looks nice and I like the color combinations that you used... Nice concept! This is really good for a first vector. Some of the lines are a little jagged but still, I'm very impressed by your talent and I love the backround. totally love. The background just makes me want to stare at it forever! the vector job is just simply amazing! nice details and it just lovely! great vector. it's very clean! Good job! :) Thanks so much for sharing. Luvly pic~ I luv ALLEN~! I love this picture and the way you used it. Nicely done! finally i can found the large one.